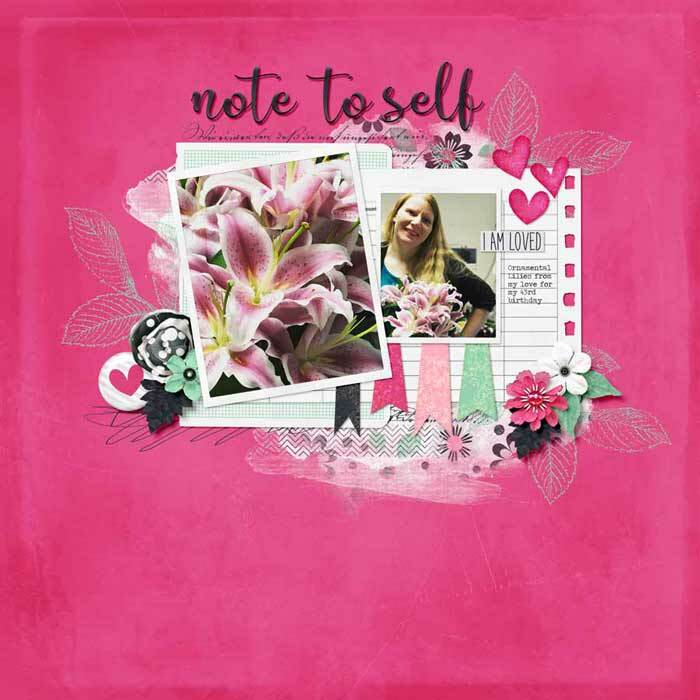 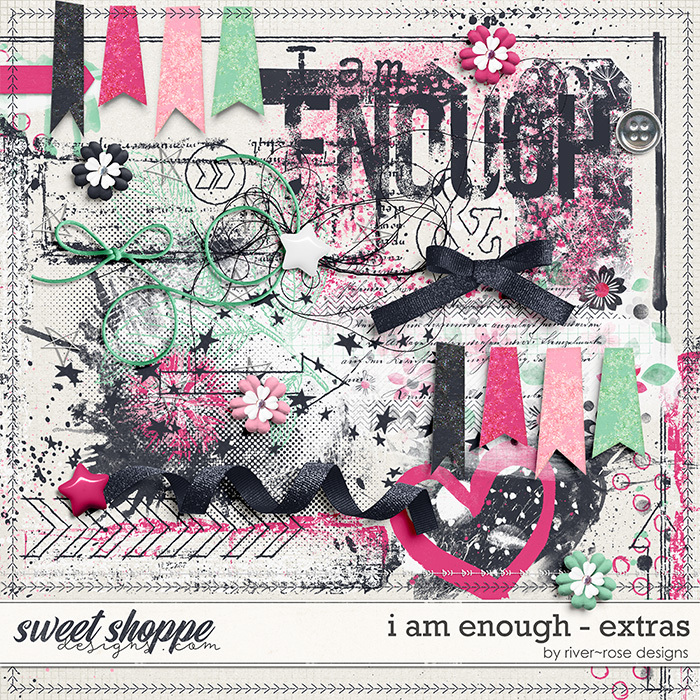 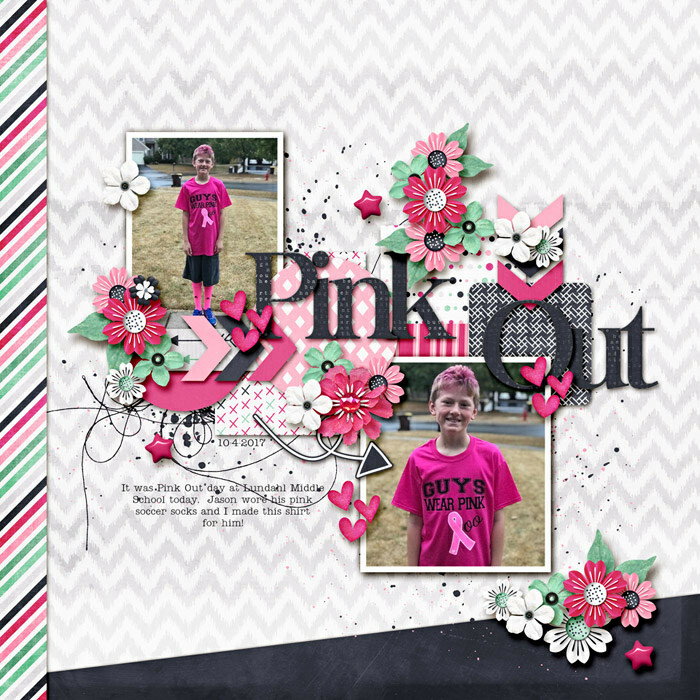 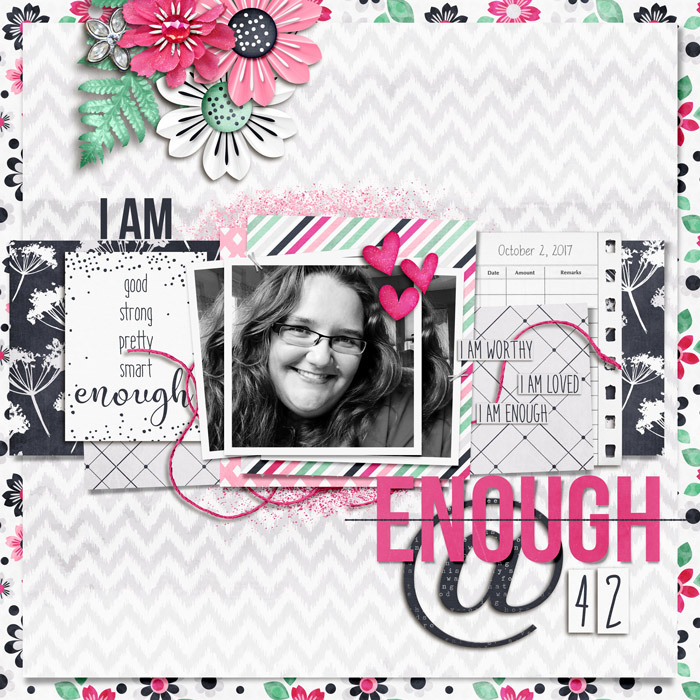 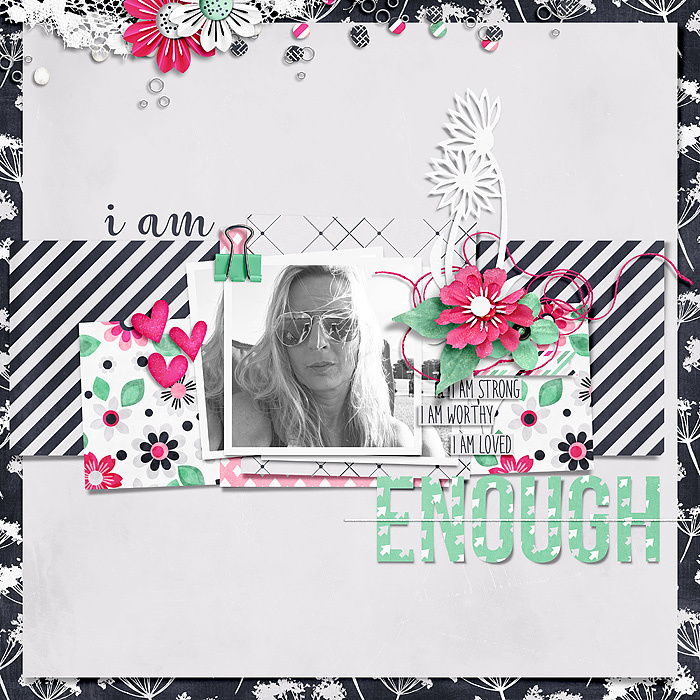 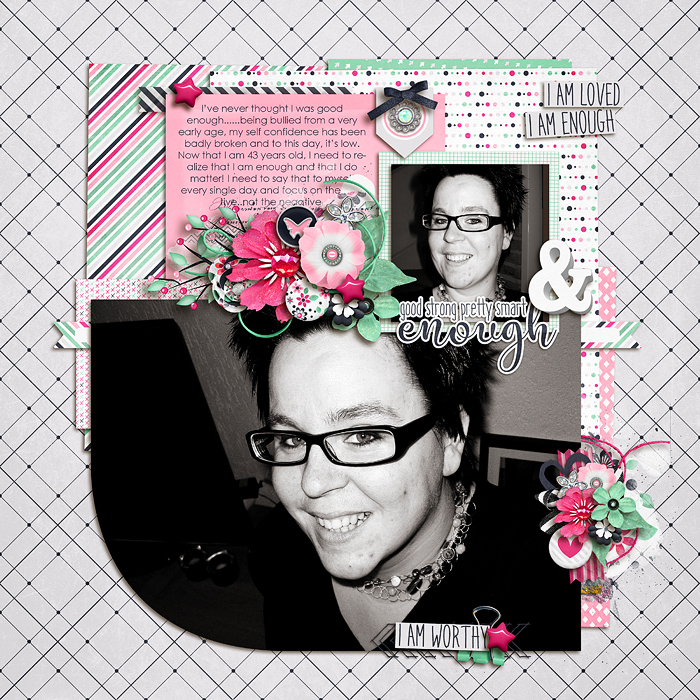 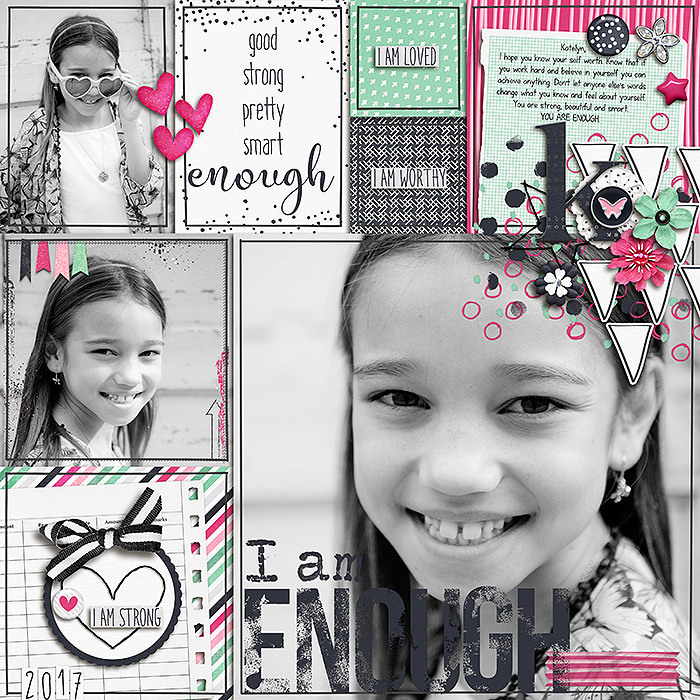 A digital scrapbook collection by River Rose Designs, I am Enough includes the I am Enough kit, extra elements & template packs. 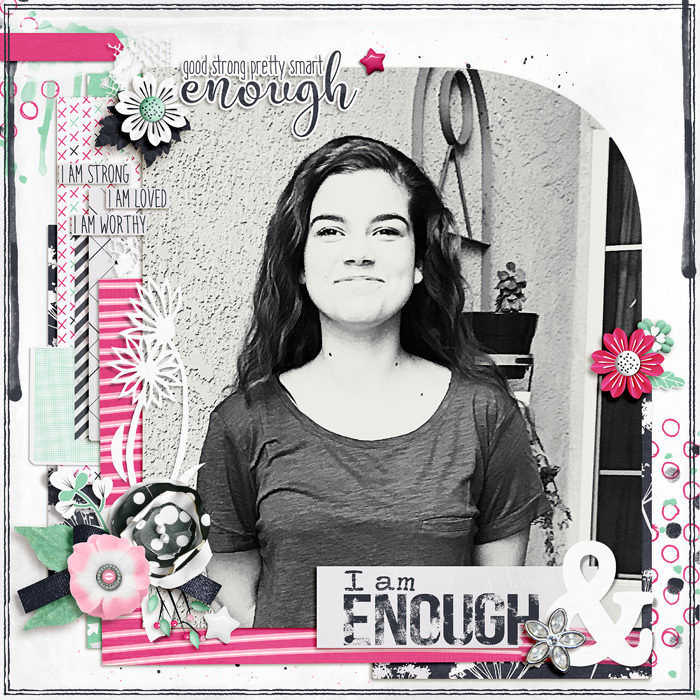 I Am Enough is all about reminding yourself and other that you are enough just like you are. 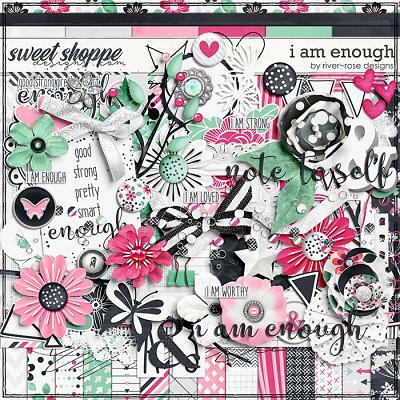 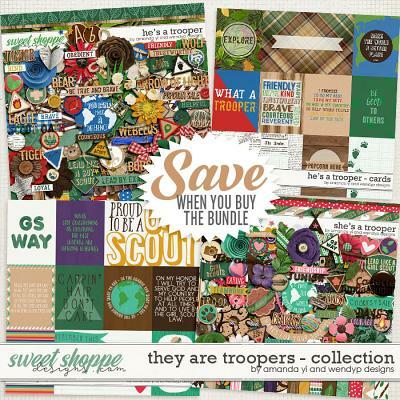 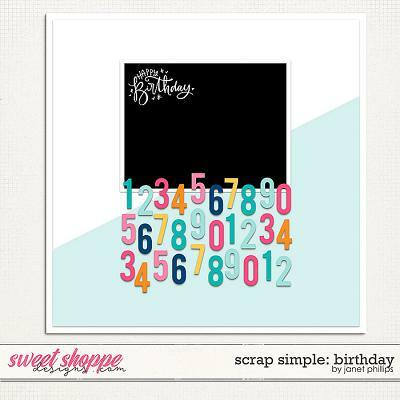 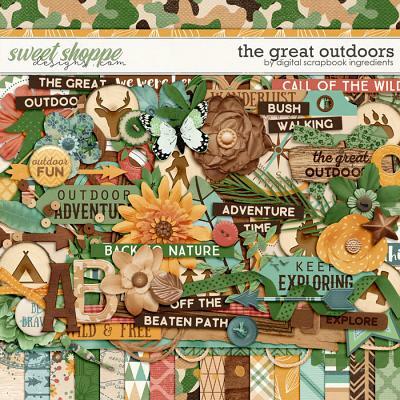 Great for your everyday pages, journaling and card making and more! 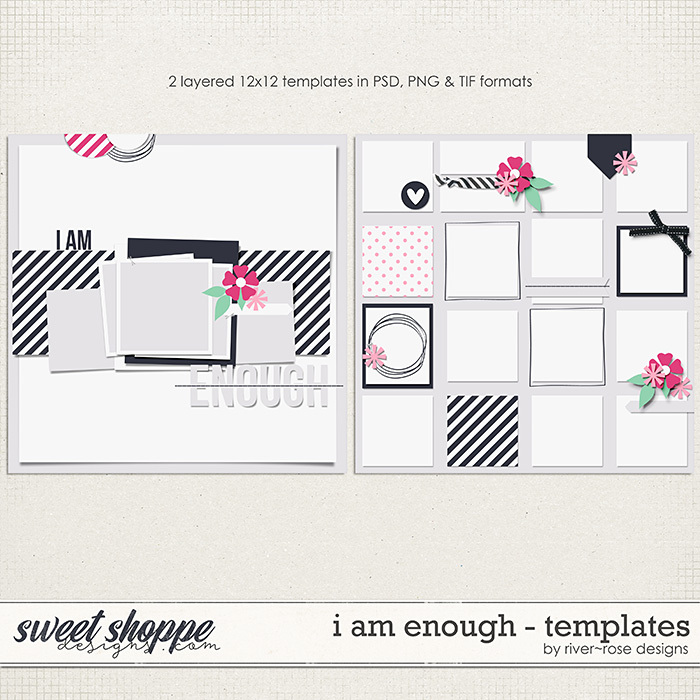 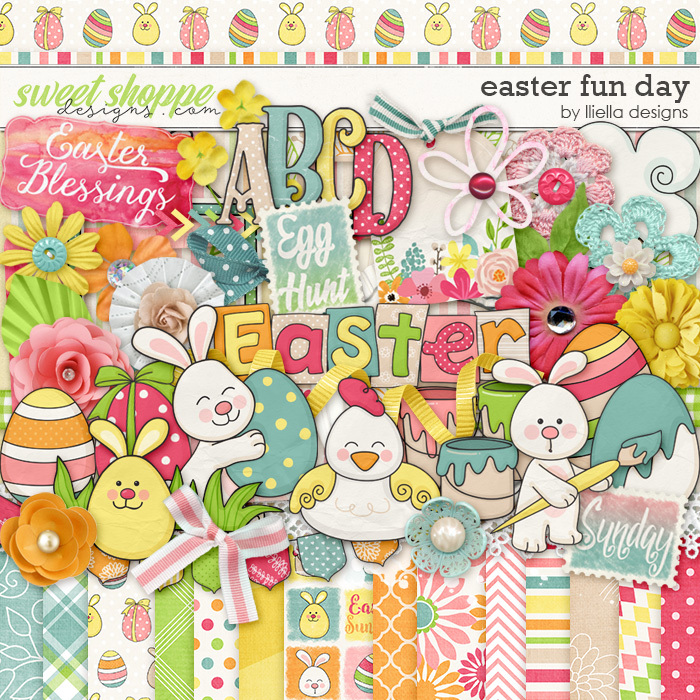 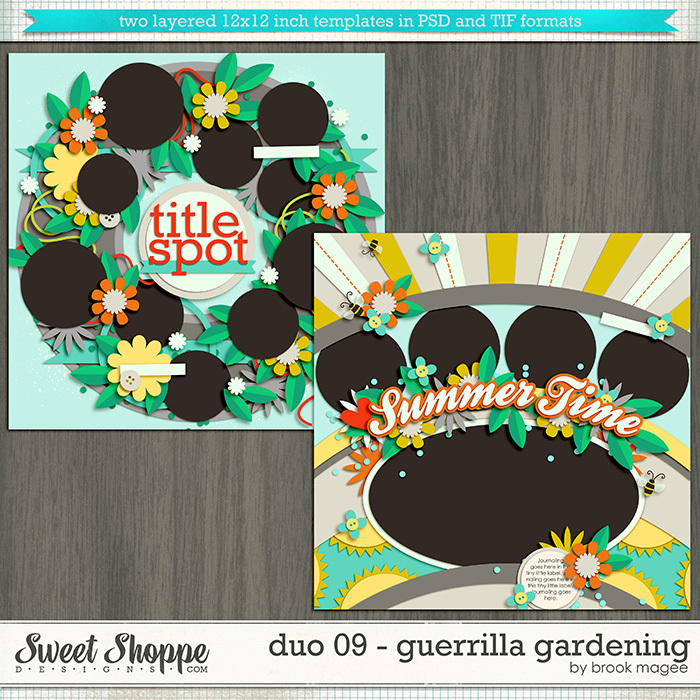 Included are 20 background papers (14 patterned & 6 textured solids), 2 alphas presented in individual .png file format & 75 elements, 35 extra elements including paint, stamps, ready to use edges, flowers and more, 2 templates in .PSD, .TIF & .PNG formats.